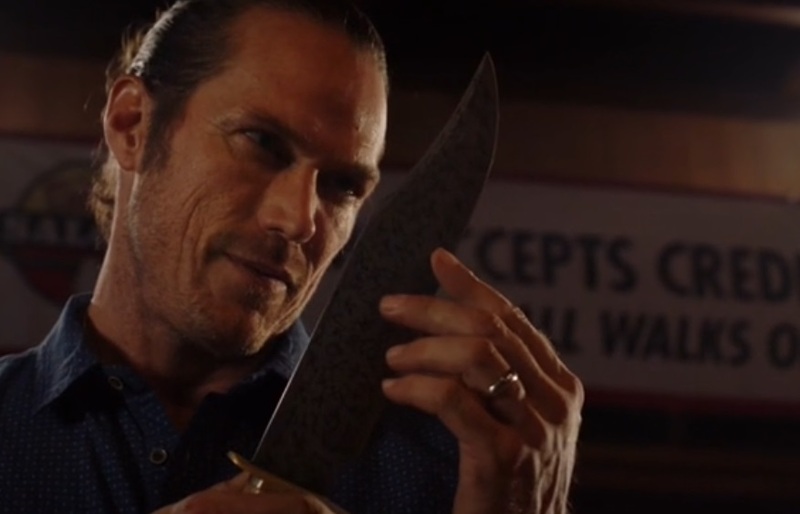 ‘The Monster of the Week Is Patriarchy’ continued to build a bit more on the plot threads introduced in the season 2 premiere of Midnight, Texas. Here’s to hoping the main cast is able to stay alive as the current season continues. ‘The Monster of the Week Is Patriarchy’ opened with Kai healing another person. The episode didn’t explain everything about Kai’s powers. But we are told he is able to transfer energy. With him keeping a severed head in his office, there is something much sinister at play than healing people. Also, Kai is able to turn supernaturals into normal human beings! Having someone like Kai in this series opens doors to many possibilities. Midnight is a place where those who don’t fit anywhere else arrive to find a sense of belonging. Having supernatural powers isn’t always a blessing. Perhaps Reverend Emilio, a weretiger, might consider having his curse taken away by Kai? I can also see Lem, a vampire, contemplating about asking Kai to turn him human again. Lem making such a decision might do away with the bond he shares with Olivia and make her happy. Olivia has many issues to deal with and I can understand why she didn’t appreciate Lem being able to feel her mind. I am looking forward to seeing how their relationship is handled. For those of us wondering, it was revealed in this episode Kai won’t be able to take away Joe’s powers because Joe is an angel. I think the same will hold true for Chuy, a demon. Also, talking about Joe, now that he doesn’t have to hide anymore, he feels lost. Joe teaming up with Walker to continue fighting demons is going to happen! I just hope Joe and Chuy’s marriage survives the experience. Anyway, the episode had Manfred and Patience (Kai’s wife) working together to send away a murderous ghost. The entire thing came across as filler and a way to bring Manfred and Patience closer together with Creek gone. Truth be told, I am more interested in the history behind Patience’s family owning a very mysterious painting than her possibly hooking up with Manfred. Do you think Patience is a supernatural being? Will Manfred remember being blasted away by a severed head when he regains consciousness? The ratings for the Midnight, Texas season 2 premiere were not good. Who is interested in seeing Fiji figure out what’s trying to kill Bobo? I can watch Olivia fighting bad guys for hours. I hope to see Creek return soon. Madonna should come back, too. What did you think of ‘The Monster of the Week Is Patriarchy’? Let us know. Previous:Batman: The Animated Series Deluxe Limited Edition Box Set – Review!